We are all familiar with one of Hollywood’s most famous and beautiful smiles. Audrey Hepburn blessed us (yes, that’s the correct term) with her acting for decades, starring in some of the most influential films throughout history. Though she passed away back in 1993, it seems that we are still reminded of the power of her films on a daily basis. And not just her films, many people have her picture on the wall, they read about her life, and some even have magazines that featured her. But what was it about her that made her so significant? As we stated earlier, it’s hard to think that a Hollywood star could teach us life and business lessons. But her influence reached well beyond the realm of movies. She was a big fashion icon as well and even to this day, has appeared in a commercial (think of the weird chocolate commercial where she was basically a special effect). Audrey was born in Brussels in 1929 to a Dutch mother and a British father. 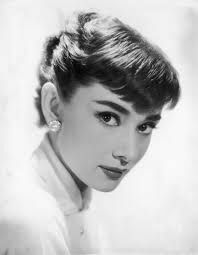 Her actual name was Audrey Kathleen Ruston and took on the last name Hepburn in 1948. At the early age of five, she was sent to a boarding school in England and one year later, her father walked out on her and her family. When the British declared war on Germany in 1939, Hepburn’s mother relocated with her daughter to the Netherlands. It was her hope, like with WWI, they would be exempt from attacks by Germany. In 1940 when the Germans invaded the Netherlands, Hepburn adopted the name Edda van Heemstra to avoid any English sounding names that may get her or her family in trouble with the Germans. During her stay in the Netherlands, Audrey enrolled in a ballet school. She told many that as a kid, it was her dream to become a prima ballerina. This could seem weird to some, as she was very self-conscious about her feet, which were a size 10! She would also act as a courier for the resistance, delivering messages and packages across the country. Even after the Allied D-Day landing, things got worse. The lands Hepburn lived in were constantly ravaged by war. People froze to death and starved in the streets. The Germans had blocked the resupply routes of the Dutch food and fuel lines as retaliation for railway strikes. In order to pass the time, Hepburn would draw pictures, which can still be seen to this day. Because of her war-time experiences, this helped her become a leading spokeswoman and a devoted ally for UNICEF later in her career. Fast forward a few years after the war and a newly reborn Hepburn moved to Amsterdam where she continued her ballet lessons for three years with a leading figure in Dutch ballet. During her time there, a talent scout for a film company noticed Hepburn and she starred in her first film as an air stewardess in an education travel film. She continued study at Ballet Rambert and supported herself by being a part-time model. Unfortunately, Hepburn was told she could never make prima ballerina due to her height and weak constitution (an effect of her war-time struggles). She decided to focus on acting. There are a lot of lessons we can learn from Audrey and her life as a movie star and a humanitarian liaison. Her early war-ridden life, bouncing around Europe, working for the resistance, and doing things she loved even though she was in poor situations prepared her for the life that she was born to lead, though this shouldn’t be said lightly. Hepburn suffered through a big portion of her life and it’s hard to think that she overcame so much and ended up giving even more to the world. From Hollywood to Vietnam, people were able to be part of the Hepburn’s wonderful, smile-stricken life. Whether it was watching her on the big screen, or seeing her in person as she helped feed the hungry, it’s not hard to see why we should try to emulate this woman in the world of business. It’s hard. You get ahead in life. You make a lot of money. Your family has three or four nice cars and you, well you are unstoppable. Why not be a little bit cocky, right? Well, studies have shown that bosses or people in management positions who take on the “better than you are” role eventually show a decline in employee production and in turn, lower sales. It’s important to find the right balance between staying humble and knowing you are the one who is on the ball. Knowing when you appreciate the work of others and those beneath you will earn you the respect you deserve and keep your employees happy. Because Audrey Hepburn maintained her humility throughout her life, many people were on her side, willing to help whenever she needed it. This definitely goes hand-in-hand with being humble. It’s easy to spot the people who have fulfilling lives. They are the ones who give more of themselves. They give not just their money, but their time and talents so that other people can benefit as well. In the business world, being charitable means giving of yourself freely. If the company is succeeding and you have seen the benefits of your labors, then your life is more fulfilling and you are a happier person. Business and work are often associated in a negative connotation; work = labor + boredom. But think about it; you give your time and talents willingly, you’ll be happy. That’s a promise. You know that time we talked about how Audrey Hepburn almost died due to malnutrition? Again, her life was not easy. She struggled to barely stay alive for almost two decades of her life! How many of us can say that? Probably not many, but often we hear the stories of those who came from humble beginnings to make a company that was renowned or they invented a product that changed the world! No matter your level of success in the business world, remember where you came from. This constant reflection ensures you focus on what’s important instead of just shooting for more money. One of the greatest lessons we learned from Hepburn was that family is one of the most important aspects of our lives. Hepburn had it all. She was a fashion icon, a movie star, beautiful, and was on the path for continued stardom. But at a young age, she decided to take a step back and focus on her family life. Many people questioned this move, saying it was dumb to give up all this fame and fortune for a few people, but she knew that it was family that helped her get to where she was. A poor girl living in the war-stricken lands of Europe, it was family who helped her survive. In business, it’s hard to forget about work when you want to succeed or when there is a huge deadline that you have to meet. Deadlines come and go, but your family always needs your attention first. Do you know anyone who has had a miscarriage? What about someone who barely survived a world war? Do you know anyone who has almost starved to death? It’s hard to think that Audrey Hepburn did so much with her life when we take into consideration all these things she went though. She may have never said it, but it’s easy to see the determination in her work. As business people, it’s easy to get discouraged when we don’t meet quota or lose a job, but being prepared for those hardships can alter your future. Save up for a rainy day, have a backup plan if a product fails, or try a different approach with a sales tactic. It’s easy to give up. It takes real character to keep moving forward. One thing we didn’t mention was that Audrey didn’t have a great singing voice. Crazy right? She was a dancer, an actress, a model; just all-around amazing. Well, everyone is flawed and so was Hepburn. During My Fair Lady she was told her singing part was going to be dubbed over. She was so mad she stormed off. The next day, she came back and apologized to everyone on set. This speaks a lot to her integrity as a successful person. We all make mistakes! It’s as natural as breathing. Owning up to your mistakes takes a lot of guts though because sometimes those mistakes can cost you millions of dollars, or your job. Other times they just hurt those around you emotionally. It’s OK to make mistakes, you just need to make sure and learn from them. As with Audrey Hepburn, sometimes your greatest achievements don’t come when you are working late hours at the office. Don’t rationalize the things you do wrong or your mistakes but focus on what you do best, on those who care about you, and try to make the world a better place.